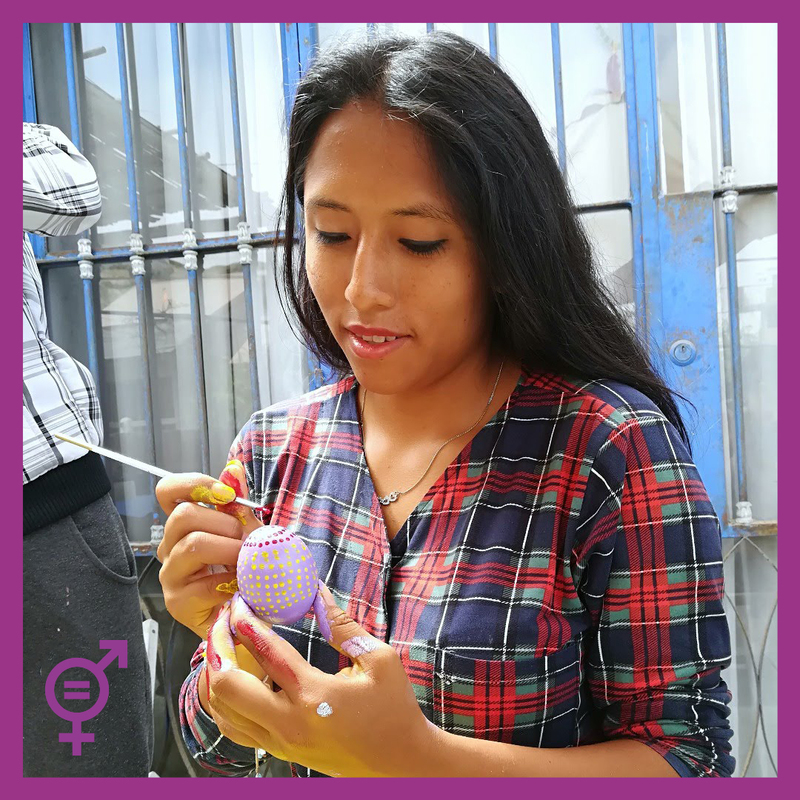 On the occasion of the International Women’s Day, and inspired by the WFTO campaign on #womenleaders, we interviewed FairMail Peruvian managers Anidela Rios Pizan (21) and Angeles Acevedo Bobadilla (22) to gain a better insight of what being a young woman leader in Peru really means. 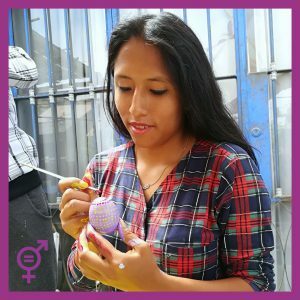 As a women-owned and led social enterprise, we are committed to the principle of gender equality and women empowerment and with this interview we want to celebrate all women worldwide in decision making and managerial positions within the WFTO community. Angeles: I’m proud about a lot of things but If I had to pick one, I’d say that I really like when the FairMail photographers come to me for advice. In those moments I realize that the relationships we build go behind the manager-photographer dynamic and it’s more like a relationship between friends. It makes me feel special that they see me as someone they can trust and rely on and this motivates me to be a good role model and the best possible version of myself. Anidela: I feel particularly proud when I’m helping the photographers turn their photo ideas into beautiful images. I really like to be part of this creative process: choosing the props, the background, the lights and everything. And the best part is when we look back at the first images they took and realize the progress they’ve made. What was your situation before you started working for Fair Trade? Angeles: I remember I was a bit lost, because I had just failed an entry test at university, and I didn’t really know what do next. I figured that I would stay at home, helping my mother out and give myself some time to reconsider my future plans. I didn’t really have anything solid on my hands. Anidela: I was studying (and still am) Business Management at the university of Trujillo and I had a part-time job selling meals at the bus terminal with my aunt. I’ve never complained about the job, but I knew I could do more. How has working here changed impacted your life/ your family/ your community? Angeles: working for FairMail has significantly contributed to my personal growth and helped me realize what I want to do with my life. I have learned how to run a small enterprise, and this makes me feel more confident about my skills and potential. I am now more aware of what I can achieve in life. Economically speaking I can now support myself and my family and I love the feeling of being free to decide how I want to invest my money for my future. I can pay for my studies knowing that I’m not being a burden for my family. Anidela: On a personal level I feel more confident and responsible. I’m using what I’ve learned in FairMail to give advice to my sisters and help them make better choices for their lives. I was particularly happy when a professor of mine from university congratulated me on my achievement as a FairMail manager. I also love the fact that I can support my family and my sisters, and it makes me feel really happy to know that my parents are very proud of me. Angeles: I want to get my English certification and start university in August. I’m also saving money for my 2020 trip to Europe! Anidela: At an educational level, I want to graduate on time and start taking English classes. At a professional level I want to create a webpage for my chocolate-making business and at a personal level, I want to buy myself a camera and keep taking pictures! What are the challenges you are facing being a woman leader? Angeles: In FairMail, I’ve never had any problem for being a woman, in fact I think that being a woman brings me closer to the teenage photographers. Outside FairMail, it sometimes happens that people don’t take me seriously because they see me as young and unexperienced. What bothers me the most is that they think they know how to do my job better than me and it’s always frustrating to have to prove them wrong. Anidela: my experience is very similar to Angeles’. Some of the people we deal with outside FairMail find it difficult to accept that a young woman can be in charge of an enterprise and they simply don’t take me seriously. I always have to make twice the effort to gain their trust first, and then to be listened. What’s your message to other women? Angeles: To other women in decision making positions, I’d say be honest to yourself and to others. Never let diminishing remarks question how much you value and find your way to be independent so that no one can stop you from shaping your own future. Last but not least, I would say never stop learning, it’s the only way to keep growing and improving. Anidela: Never be afraid to show who you really are and what you are capable of achieving. Never feel lesser than your male counterparts and don’t let people underestimate you.